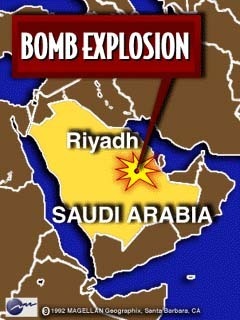 Seven people died and sixty were wounded after a van full of Semtex exploded outside a government-owned building in downtown Riyadh. 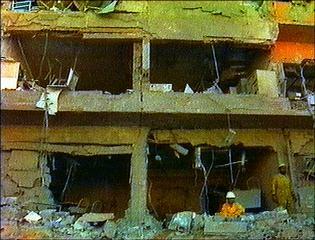 Though Osama bin Laden never officially took responsibility for the blast, four of the suspects taken by the Saudi government admitted to at least have been influenced by bin Laden's speeches, and one had trained with al-Qaeda in Afghanistan. 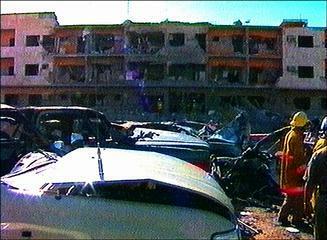 Many believe however, that this car bomb was the first official organized terrorist attack sponsored by al-Qaeda.